Cosmetics are all around us. They have been used for thousands of years. Are they safe? Without discussing the general/global issue of cosmetics safety, we want to bring up something about one of the most used cosmetics worldwide: lipsticks. Although in the last century lipstick use was most prevalent in the Western world, its use is now a global phenomenon. And now, it seems lipsticks contain a potentially unhealthy dose of toxic heavy metals. What are heavy metals? They are high atomic weight elements that exhibit, at room temperature, the properties of a metallic substance. Minute amounts of some heavy metals, including cobalt, copper, manganese, molybdenum, vanadium, strontium, and zinc, are required by living organisms. However, excessive levels can be detrimental. In contrast, other heavy metals such as mercury, lead, arsenic and cadmium, have no known vital or beneficial effect on organisms, and can cause serious negative health effects, including carcinogenic or toxic effects that involve, among others, the central nervous system, kidneys, liver, skin, bones and teeth. A recent study published in the scientific journal Environmental Health Perspectives (Liu S, et al. Concentrations and potential health risks of metals in lip products, 121:705–710, 2013), which examined 32 lip products used by young women, indicates that lipsticks contain lead, aluminum, cadmium, cobalt, chromium, copper, manganese, nickel, and titanium. The authors of the study assumed, on the basis of usage data reported by the Personal Care Products Council, that the women in their study ingested all the lip products they applied each day and concluded that they could be ingesting potentially hazardous amounts of aluminum, chromium, and manganese. 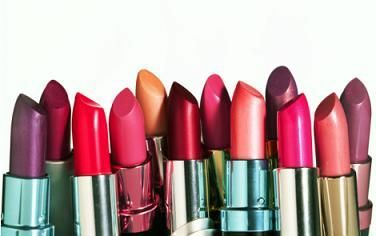 Although in 2007 the Campaign for Safe Cosmetics reported the presence of lead in lipsticks and lip glosses (A poison kiss: the problem of lead in lipstick), and in 2009 and 2011 the Food and Drug Administration (FDA) published its own findings on lead in lipsticks, the Environmental Health Perspective study is the first to call attention on the presence of a wide range of heavy metals in lipsticks. This topic caught my attention because it completely relates to me. I wear lipgloss and lipsticks on a daily basis, and knowing that something that is used daily can be hazardous to me is quite shocking. The blog indicates if the lipgloss or lip stick is ingested aluminum, chromium, manganese, and lead. After doing some research on my own I have found that lead poisoning can damage the “nervous, muscular and reproductive systems, and has been tied to kidney damage and reduce IQ in kids.”( http://www.cbsnews.com/8301-504763_162-57377840-10391704/lead-found-in-400-types-of-lipstick-which-has-most/) There is also a new test that has been created for the general public called the gold ring test which is a self home test that indicates the presence of lead. It is quite interesting that there are even at home tests to test it but over 400 types of lipsticks still contain lead. Unfortunately, because of legal purposes I can not list the top brands that are very familiar to most of us that contribute to the corrupted industry. Make up is supposed to make one feel confident and beautiful, but unfortunately after the numerous tests made make up is now dangerous and perturbed. The FDA reported that they tested the consumption of lead for various products and took into consideration the multitude of uses women in a routine basis. As a result of their findings they ruled that the levels of lead in the lipsticks tested were not harmful enough to be harmful. They also included that the lead would be ingested; albeit, i wonder what would be the effects/ruling after they’ve taken into consideration all of the metals contained in the lipsticks. I feel that the combination of the metals might be a lot more harmful than the small doses by themselves. Yes, I think you’re right. The combination of different metals may result in a different response,, synergistic or other. Assessing the effects of mixtures of different chemicals is a major challenge in toxicological analysis. Wow this is really good to know since I love wearing lipstick. I would have never though toxic metals are in certain kind of lipsticks and lip glosses. Can these toxic metals have a major effect on lips if lip stick if worn everyday? This is a serious matter that I think should be more known to the public. It makes me think if lipstick contains certain toxic metals than other make up like mascara, eye liner, and foundation contain toxic metals as well. Does this go for organic make up too? From mannite to heavy metals, humanity’s quest for painted beauty doesn’t seem to have progressed far from toxic roots. The sacrifices we make for fashion! Although I’m not a fan of lipstick I was surprised to read that it contained heavy metals. It’s insane to think that this wasn’t made know sooner when so many people wear lipstick or come into contact with people that wear lipstick. Also it is applied directly to the skin which makes it all the easier to enter the body. The heavy metals aren’t even necessary for life. It makes me wonder why we even use them or more importantly why they exist. Consumers should definitely be more aware of the products they purchase and apply to themselves. What an interesting topic that caught my attention right away. I would have never thought that lipstick would contain such toxic metals that could lead to potential health hazards. My main concern now is if the companies who manufacture these lipsticks will label their products as being potentially hazardous with potential side effects. This is a serious matter that the general public may not be aware about. As a young woman myself I apply lipstick occasionally without even taking into consideration the hazards that come along wtih it. So another question I have is that if lipsticks contain hazardous materials alongside some lip glosses, do chapsticks contain any toxic metals? I doubt the companies will put safety labels on their products. Various companies have a history of concealing harmful facts once they know about. Even if they did, old habits of the generally public can’t change over night. The Environmental Health Perspective Study is very considerate by calling the attention of consumers and informing them about the potential effects and dangers of heavy metals in such popular product like lip stick. Its important for consumers to know that the metals can be ingested when the lipstick makes contact with their skin. Although it probably doesn’t show the effects right away they can probably be traced in the long run. Im not sure but I believe it doesn’t only affect the person wearing the lipstick. Indirectly it can effect children and anyone that has contact with the lipstick that can perhaps be passed by kissing. just a thought but not 100% sure. This post really caught my attention because as a young lady, I wear lip gloss daily and lipstick occasionally . With that being said, there are times when I apply my lip product and I accidentally apply too much which results in the ingestion of the product. This knowledge worries me because I am being exposed to a daily dose of metals which could ultimately lead to very adverse conditions. With this knowledge some people will take heed and do research but some others have become so adapted to the way they look with the lipstick on and simply ignore the potential health risks. This is where safety fails because consumers can have all the evidence required to prove that a change needs to be made, but if they are so stuck in their ways and continue to be a part of a problem, then the world will continue to suffer.